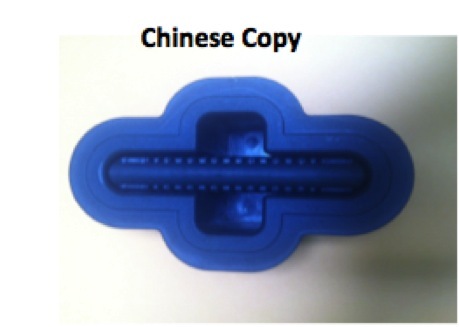 On a recent trip to China it was brought to our attention that a knock off (see pic below) of our patented LiftSUP handle has entered the market. The copy is constructed of very inferior materials, making it weak and potentially hazardous to you and your board. The LiftSUP handle is a fully patented design. We use the best materials on the market to create a light, exceptionally strong, durable and functional piece of equipment. All of the SUP Think Tank products are ‘Made in America’ to very high standards and are function tested thoroughly before introduction and strength tested at a third party destructive testing lab to ensure the best customer experience. Out of respect for designers, scientists, artists, musicians and entrepreneurs around the world we intend to vigorously enforce the rights embodied within our patents and patents pending. Please help us spread the word! If you have any questions or concerns do not hesitate to contact us at: Matt@supthinktank.com or 760-310-4100.